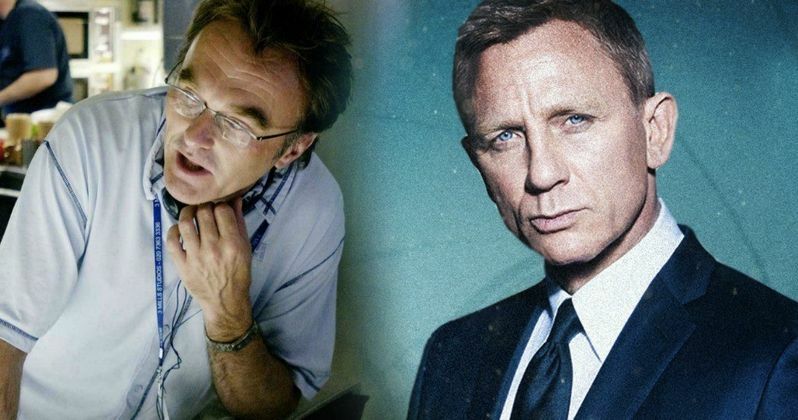 Danny Boyle to Direct James Bond 25 Pending Script Approval? Danny Boyle has pretty much locked up the James Bond 25 directing gig. At least according to a new rumor that has not yet been confirmed by anyone actually associated with the movie in any way shape or form. So take that for what it's worth. Sam Mendes directed the previous two installments of the James Bond franchise, but he made it clear very early on that he was not going to return for the upcoming movie, which will be Daniel Craig's last go as 007. After a lengthy search for a director, the man behind Slumdog Millionaire and 28 Days Later has come out on top. Possibly. There are some things that need to be worked out. Namely, the script being worked on needs to be approved. We reported last month that Danny Boyle had emerged as the frontrunner to direct James Bond 25, but he reportedly came to the project with plans of his own. Trainspotting screenwriter John Hodge, who's worked with Boyle several times in the past, is allegedly working on a new version of the script for the next Bond movie that is based on an idea he and Boyle hatched with one another. That creates some complications, but according to Daily Mail reported Baz Bamigboye, as long as the producers like the script, this is a done deal. Here's what Bamigboye had to say about it in a recent Twitter post. "#DannyBoyle will direct next #007 film #Bond25 late this year after shooting #allyouneedislove for @Working_Title, as long as Bond screenplay by #JohnHodge meets approval. #BarbaraBroccoli #Michael G.Wilson & #DanielCraig 'willing' this to happen." This is an interesting development for several reasons. For one, Yann Demange (White Boy Rick), has reportedly been the frontrunner for the job for several months. However, the producers wanted to get a big name on board for James Bond 25. Denis Villeneuve (Blade Runner 2049) was on the list, but he turned down the gig. Christopher Nolan was also a favorite for the job, but he took himself out of the running recently. That left Demange, but it looks like he's more or less lost the job. The other interesting bit to consider is that Neil Purvis and Robert Wade, who have worked on the last six James Bond movies, wrote a version of the screenplay for James Bond 25. It sounds like, should John Hodge's screenplay get approved, that Purvis and Wade script will be thrown out. That also means that any rumors regarding the plot of the movie will more or less be uncredited entirely. Annapurna recently secured the domestic distribution rights to the James Bond franchise, which previously were held by Sony. Danny Boyle will first direct All You Need Is Love, which is a musical based on the music of The Beatles. Assuming he does direct James Bond 25, he'll transition right into shooting that. The release date is currently set for November 9, 2019. Though, given the fact that a new script is just now being worked on and a different director has come into play, it wouldn't be too surprising to hear a release date change. You can check out Baz Bamigboye's Twitter post for yourself below.